Were Hedge Funds Right About Dumping Pinduoduo Inc. (PDD)? Is Pinduoduo Inc. (NASDAQ:PDD) worth your attention right now? Investors who are in the know are getting less bullish. The number of bullish hedge fund bets fell by 1 recently. Our calculations also showed that PDD isn’t among the 30 most popular stocks among hedge funds. 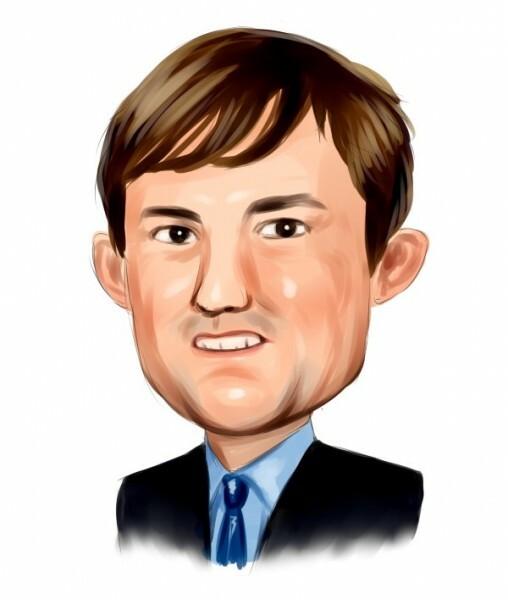 We’re going to go over the key hedge fund action encompassing Pinduoduo Inc. (NASDAQ:PDD). At Q4’s end, a total of 20 of the hedge funds tracked by Insider Monkey were long this stock, a change of -5% from one quarter earlier. 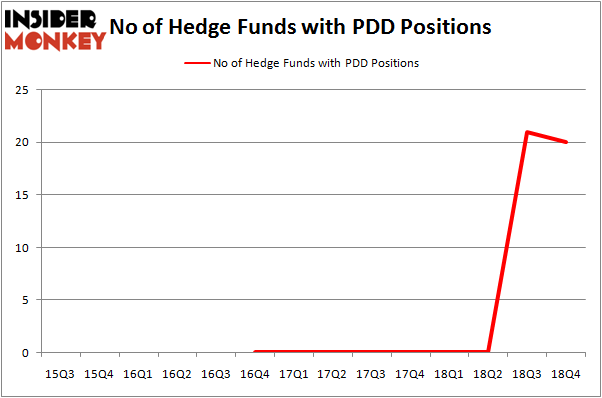 The graph below displays the number of hedge funds with bullish position in PDD over the last 14 quarters. With the smart money’s capital changing hands, there exists a select group of noteworthy hedge fund managers who were adding to their holdings considerably (or already accumulated large positions). The largest stake in Pinduoduo Inc. (NASDAQ:PDD) was held by Altimeter Capital Management, which reported holding $55.8 million worth of stock at the end of September. It was followed by Hillhouse Capital Management with a $32.3 million position. Other investors bullish on the company included Segantii Capital, Tiger Global Management LLC, and Serenity Capital. Because Pinduoduo Inc. (NASDAQ:PDD) has witnessed bearish sentiment from the aggregate hedge fund industry, logic holds that there is a sect of fund managers that decided to sell off their full holdings heading into Q3. It’s worth mentioning that Andreas Halvorsen’s Viking Global dropped the largest position of the “upper crust” of funds monitored by Insider Monkey, totaling about $37.1 million in stock. Philippe Laffont’s fund, Coatue Management, also said goodbye to its stock, about $28.9 million worth. These transactions are intriguing to say the least, as total hedge fund interest fell by 1 funds heading into Q3. Let’s also examine hedge fund activity in other stocks – not necessarily in the same industry as Pinduoduo Inc. (NASDAQ:PDD) but similarly valued. We will take a look at Thomson Reuters Corporation (NYSE:TRI), PPG Industries, Inc. (NYSE:PPG), Amphenol Corporation (NYSE:APH), and Ferrari N.V. (NYSE:RACE). This group of stocks’ market values are similar to PDD’s market value. As you can see these stocks had an average of 21.75 hedge funds with bullish positions and the average amount invested in these stocks was $586 million. That figure was $181 million in PDD’s case. Ferrari N.V. (NYSE:RACE) is the most popular stock in this table. On the other hand Thomson Reuters Corporation (NYSE:TRI) is the least popular one with only 19 bullish hedge fund positions. Pinduoduo Inc. (NASDAQ:PDD) is not the least popular stock in this group but hedge fund interest is still below average. This is a slightly negative signal and we’d rather spend our time researching stocks that hedge funds are piling on. Our calculations showed that top 15 most popular stocks among hedge funds returned 19.7% through March 15th and outperformed the S&P 500 ETF (SPY) by 6.6 percentage points. Unfortunately PDD wasn’t in this group. Hedge funds that bet on PDD were disappointed as the stock returned 9.3% and underperformed the market. If you are interested in investing in large cap stocks, you should check out the top 15 hedge fund stocks as 13 of these outperformed the market. Hedge Funds Dropped The Ball On Fortive Corporation (FTV) Were Hedge Funds Right About Flocking Into Sempra Energy (SRE)? Here is What Hedge Funds Think About BT Group plc (BT) Here is What Hedge Funds Think About AutoZone Inc. (AZO) Were Hedge Funds Right About Souring On Canon Inc. (NYSE:CAJ)? Is IQVIA Holdings, Inc. (IQV) A Good Stock To Buy?